Dirty filters destroy your AC’s efficiency. Depending on what kind you have, they should be inspected/changed every 1-3 months. This simple task will greatly improve your energy costs. Whether it be a window unit or a central air system, air leaks will cause decreased air flow. This means your AC is not operating at optimal efficiency. Foil tape, foam, and taping can solve air leaks. Quite simply, you don’t need to blast the AC during the day if you are at work and the kids are at school. A programmable thermostat allows you to set the time and temperature for workdays, weekends, and vacation. 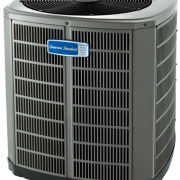 Trees, shrubs, plants, and other obstructions around your AC unit can have a negative impact on its efficiency. Make sure there’s at least a two-foot radius of clear space around your air conditioner.